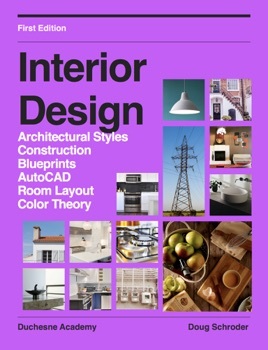 A textbook for high school interior design class. Contains: types of house styles, an overview of construction techniques, electrical, plumbing, and HVAC systems. A brief overview of color theory and room layout included.